And then she came in without a warning. It started as a spot and then flowed like a flood. And I was already a wreck. She wept with me, consoling. She then gave me something with a wing. Once a month between my legs. It was uncomfortable and irritating. Every half an hour I felt like peeing. There was confusion, discomfort, and fear. And in pain sometimes there would be a tear. Only to realize it has multiple faces. Religion did not spare my bleeding. They said no sitting together and touching.Thank heavens my family was open-minded. And they found the entire concept absurd. Red spots on the white dress weren’t cool. I am as messy as I was years back. Read this post to know more. Reads twice thrice , a cute take on prompt. Very nice poem Ramya! I am glad you decided to do something very different with the prompt. I love the way you ended it. Wow!! Just wow Ramya! I so loved the poem. It’s so honest and so well written! I am amazed how you treated the prompt so well. Good Luck. Thank you so much,Romila. I am glad you felt so. I happened to see your twitter account as I was searching for bloggers, your blogs and tweets catch my attention till the end. Impressive keep it going!! Awesome!! Made me remember my first time and yes I was scared and gutted too. Sadly, my mom was not very articulate or comfy in explaining it all to me and fear stayed with me till a few months when a close friend went through it too. After that it was girlfriends sharing and it was all oooook! This should be printed out on a sanitary napkin package – maybe you should send it to them. I am serious – its been captured very well. I know! Mothers or elder sisters can help a lot. Friends are the next best option. 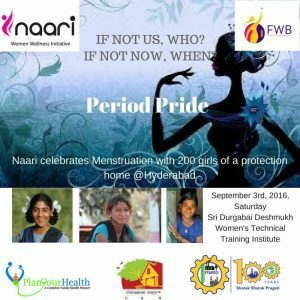 About Sanitary napkin package I am not sure, but I am so happy and touched that you felt so. 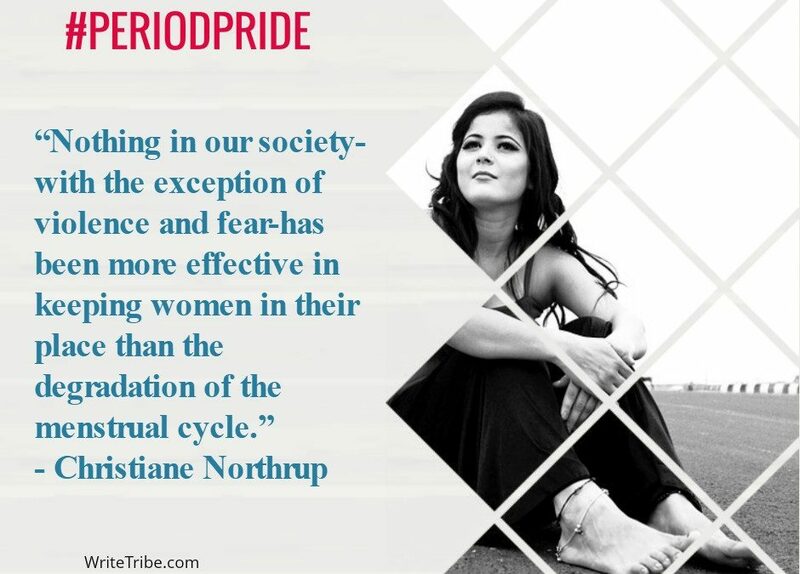 What a beautiful way to describe #PeriodPride. Impressed. Yes it is still a taboo in our society, not only in middle class society but also in so called high society people. I know, Doc. In our house, we speak openly about it and outside when they did not it felt really awkward. Thank you so much. Wanted to try out something different,Dashy. Poem just came out in the flow. Ah, white dress and periods had a war going on. I so loved this poem, Ramya! A routine part of a woman’s life gets made into an issue because of ignorance and lack of acceptance as just a part of nature! Wonder when the perod will come to be treated for what it is – a natural physiological process in the human body!? Read about the green period initiative also. Great concept and this poem is so unique. This is the most poignant statement in your poem. It hit me like a bolt of lightening. 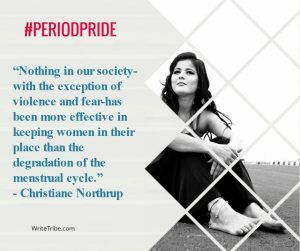 Each woman has faced the cringing societal discomfort that menstruation brings. Thank you for writing and sharing this beautiful poem. This is beyond words beautiful.